I love music. And it’s no secret how music has been shown to improve your workout performance whether it be on a run,in the weight room or even on the bike. Music has a psychosomatic effect that gets your movements in sync and also increases workout capacity albeit momentarily. But beyond the science, it’s just a lot better to workout to a tune. My problem though has always been finding the right pair of earphones. For some reasons, the ipod’s and iphone’s stock earphones are always to small for my ears. In-ear phones however leave my ears feeling sticky and headphones should just be a no-no in sports. I’ve found some good ones along the way and this may be one of them. Pear earphones are new in the market and this one boasts of having the same material used by the special forces. So my hopes were high when i tried it for my run and my bike ride. Suffice is to say that it did not disappoint. I was able to run my 5k without ever having to adjust the earbuds and was even able to bike for 30 mins around the village without it falling off. 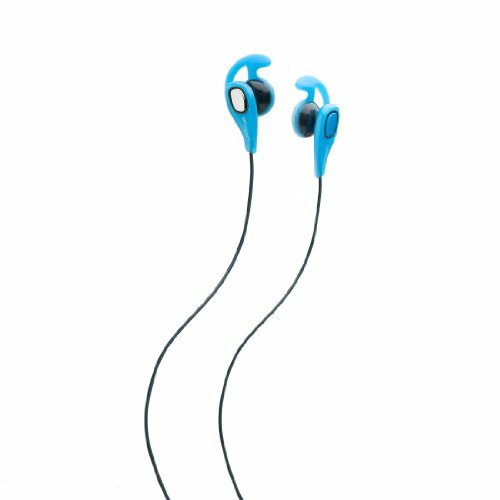 The Earlock retention system makes sure that you don’t have to worry about your earphones anymore, which what should be the most important feature of any sports equipment anyway. It also comes with in-line controls that will help you adjust the volume, play, pause, stop and even answer calls easily. This is crucial when you are out on your run and using your iphone for tunes. Sound quality almost always relies on the hardware of your player of choice but so far, it gives me clear voices and ample bass which helps in building a rhythm through your workouts. The only downside I see is that the earpieces rotate easily and although it hasn’t happened to me yet, there is a possibility for the earphones and the earlock system to disengage from each other. Pear also has a training app that you can download but it needs a seperate attachement that will measure your heart rate among other things. It’s very promising but we’ll have to wait until it’s available in the Philippines for me to try it. All in all, I was very happy with this piece of gear, and retailing at 2,250php, it’s really a steal for those looking for a good and reliable pair of earphones. Thanks to Make Believe and Beyond the Box for my pair Get yours from Beyond the Box and Digital Hub, Digital Walker, and Astrovision stores around the metro! Woah! I’m really digging the template/theme of this blog. It’s simple, yet effective. A lot of times it’s very hard to get that “perfect balance” between usability and visual appeal. I must say you’ve done a awesome job with this. Also, the blog loads super quick for me on Firefox. Excellent Blog!